Continuous reports of technical problems on the Obamacare website and the delays in provisions promised to help offset costs have spooked many people looking to buy medical coverage. For many, navigating the health insurance terrain remains a perplexing, frustrating task. But having insurance is still a top priority for Americans. The reason: Medical bills are the leading single cause of personal bankruptcies. So to protect your health and your wallet, experts say getting educated about the coverage you need, and how it's going to be paid for, is essential. Facing that reality is "a real problem for people," said Jon Gabel, health-care senior fellow at the independent research organization NORC at the University of Chicago. "Nobody chooses to become seriously ill, but it happens unexpectedly," noted Gabel. "Always protect yourself against catastrophic costs." 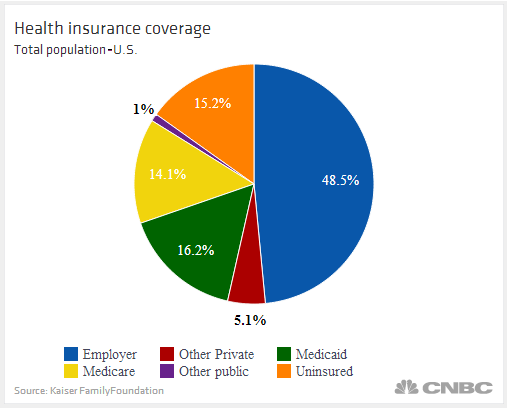 The United States's health insurance landscape is a hodgepodge of coverage. Nearly half the population is covered by employer-provided plans, also known as group insurance, while 31 percent are covered by government-run programs, such as Medicare, Medicaid and the Children's Health Insurance Program (CHIP). About 5 percent have coverage from private insurance purchased on the individual marketplace, which now includes Obamacare exchanges. Another 15 percent are uninsured. Experts say customers need to consider two key questions when buying either group or individual plans: "How much is it going to cost, and what am I going to get?" said Sharon Long, an analyst with the Health Policy Center of the Urban Institute. "Then trying to balance those two in terms of how much risk I'm willing to take." For people offered employer-provider insurance, there are usually, at most, just one or two options of plans. That minimizes the time people need to spend figuring out what to buy—with many essentially being told to take it or leave it. But with companies as a rule picking up most of the cost of the insurance, employer-provided plans often are no-brainer solutions for workers' needs. "We don't have a choice," Long noted of her own employer's insurance plan. "We don't have to sit down and go through all those different pieces to figure out what I want." But that is likely to change soon. More employers are moving to so-called "private exchange" models, where they or third-party providers offer workers an expanded menu of plan options with different prices. Some analysts predict private exchanges will provide the majority of coverage options for companies in the near future. Having that kind of choice will force their employees to do the kind of involved analysis that people who currently shop on the individual insurance market have to do. And with the government-run Obamacare health insurance exchanges like HealthCare.gov now open for business, consumers in the individual coverage market have an added step to consider when going shopping. "Determining eligibility for subsidies" is the first thing people need to do, said David Sterling, CEO of Sterling Healthworks, the health-care reform arm of leading insurance brokerage SterlingRisk. Government-provided subsidies, or tax credits, are available to millions of people to help them buy insurance sold on Obamacare exchanges, and in some cases to offset out-of-pocket medical costs. To qualify for subsidies, a household's modified adjusted gross income must be less than 400 percent of the federal poverty line, which works out to about $46,000 for a single person and about $94,000 for a family of four. The lower the household income, the higher the subsidies would be. In some cases, they can make a monthly premium very low. Subsidy calculators are available through HealthCare.gov and other government Obamacare exchanges, along with the Kaiser Family Foundation, Sterling Healthworks and other online sites. Those subsidies can only be used for plans sold on Obamacare exchanges—which means people eligible for them are likely to find their most cost-effective plan option on those exchanges. If a consumer doesn't qualify for a subsidy, Sterling said, "I'm not going to limit myself to the exchanges. ... There is still a fairly robust market for products outside the exchanges." The next step is to look at the premiums charged for plans—the monthly amount you will pay for coverage. Premiums are perhaps the simplest variable to consider, because each plan has a set dollar amount for its premium, which can be compared to the premium of another plan. If you see a $300 monthly premium for one plan, you know that's 50 bucks less than a plan with a $350 monthly premium. That simplicity, however, presents a potential pitfall. "That's the problem," said Gabel of the University of Chicago. 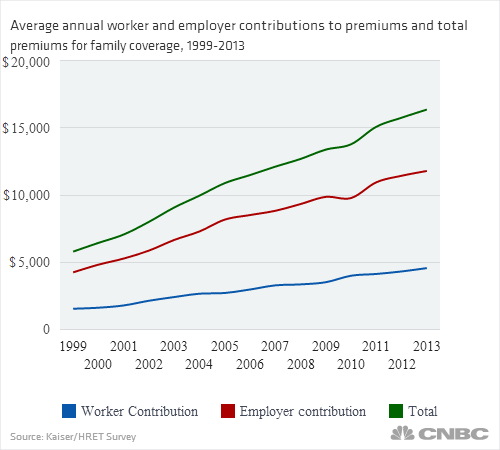 "Most people look only at the premiums." While a plan's premium might be lower than that of other plans—making it attractive to a price-conscious consumer—it also might result in a larger cost when a person actually uses insurance. 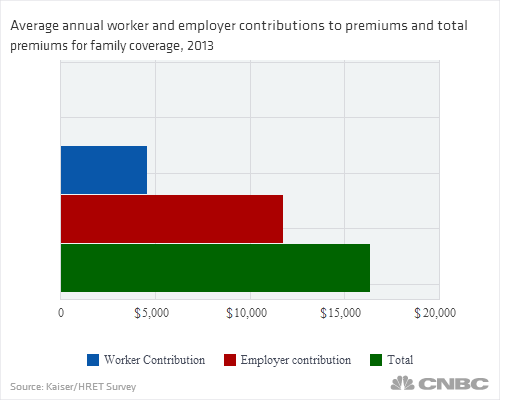 As a rule, the lower the plan's premium, the higher the amount of out-of-pocket costs, such as deductibles, copayments and co-insurance that a person must pay if they end up using some of the benefits. This is where shopping for health insurance gets tricky, experts agree. "Certain medical expenses are totally unexpected," Sterling said, which can make it difficult for a person without health issues to estimate what their out-of-pocket costs will be. "But for many people who have ... expected medical expenses, you can add up all the costs," Sterling said. By doing that math, or by intelligently estimating what you will spend in a given year in medical costs, you can then better evaluate a given plan by figuring what your net cost would be after factoring in both the premiums and the out-of-pocket limits in each plan you look at while shopping. However, the 2013 Health Reform Monitoring Survey found that slightly less than half of all currently insured adults under the age of 65 said they were "very" or "somewhat confident" of understanding nine health insurance terms, including "premium," "deductible," and "copayment." Among the uninsured, who are the primary target audience for the Obamacare exchanges, a mere 23.6 percent expressed that level of confidence. Other studies have revealed that adults' actual understanding of insurance concepts and their ability to pick the best plan for their financial situation is even worse than what they believe it to be. Sterling said that even among people who consider themselves savvy about buying health insurance, "you can't ask enough questions with regard to the plans" to fully understand what you could end up paying out of pocket. "This topic has been opaque for so long that the most sophisticated employee isn't going to know 100 percent what's going in," he said. There are on-line glossaries that can demystify the terms, including one available at HealthCare.gov, the federally run Obamacare exchange. Another major factor in deciding which plan to buy is dependent on what doctors and other medical providers are in the plan's network, Sterling said. Many Obamacare exchange plans have so-called "narrow networks," sharply limiting the choices of doctors and hospitals where customers can use their covered benefits. When shopping in or outside the exchanges, Sterling said, it is critical to determine which hospitals are in a plan's network, because some hospitals are more referable for treating certain conditions than others. He noted that he made sure his own insurance plan's network included Memorial Sloan-Kettering Hospital in New York, which is renowned for its treatment of cancer. Sterling also said that "if you're not using a doctor right now, you want to make sure [the ones in a plan's network] are geographically accessible" to you. For some consumers, the ability to keep their existing doctor or ongoing relationship with a certain hospital where they receive treatment is of paramount concern. Choosing a plan that does not include those facilities in their network could lead to much higher out-of-pocket costs for the consumer who continues to use them. Employers are increasingly implementing interactive online tools to help workers evaluate their options for insurance and steer them in the best direction for their financial situation. Experts also cited Consumers Reports as a useful resource when shopping for insurance, as it has information about rankings of insurance plans throughout the nation. Long of the Urban Institute, who co-authored a recent Health Affairs article about concerns related to some people's ability to evaluate trade-offs when shopping for health insurance, encouraged people shopping on Obamacare exchanges to use so-called navigators, who are people officially designated to help consumers browse and enroll in health insurance sold there. Long also said that if "somebody has a good relationship with their insurance broker, they can get the information they need to make their choice." "It's sort of like doing your own taxes," she said. "There are some people very comfortable doing their own taxes, and there are some people that are very nervous about it."